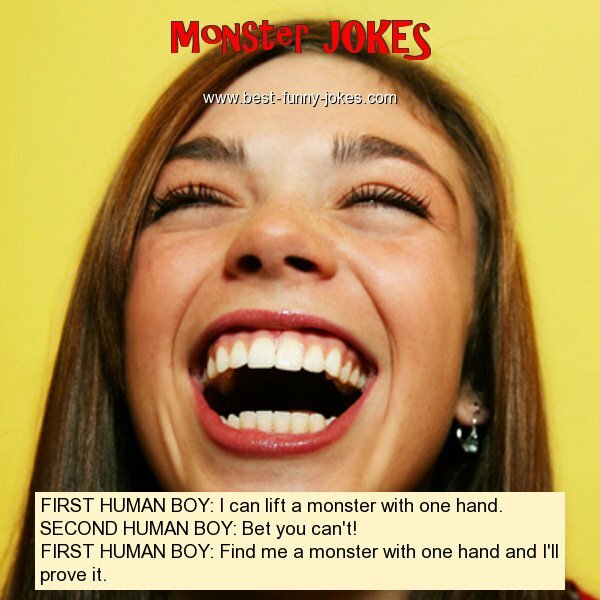 FIRST HUMAN BOY: I can lift a monster with one hand. SECOND HUMAN BOY: Bet you can't! FIRST HUMAN BOY: Find me a monster with one hand and I'll prove it.